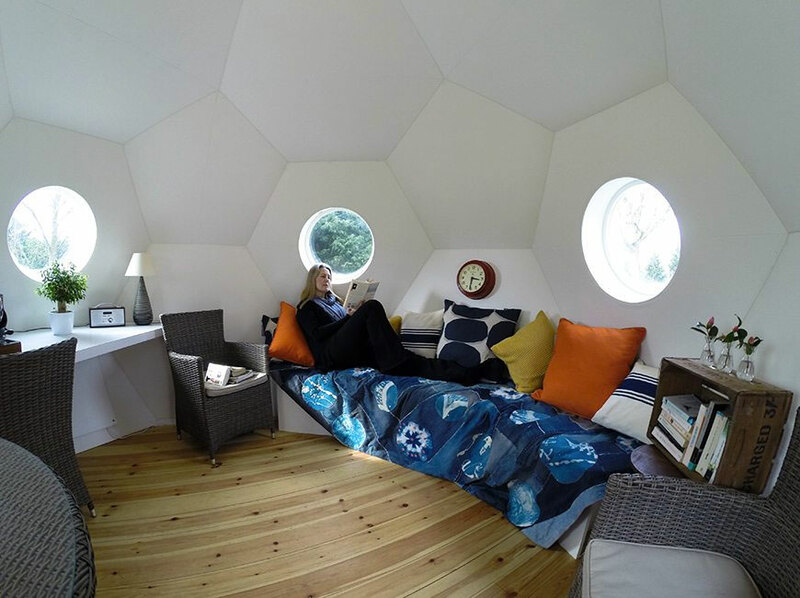 At $27,000, a Conker living pod isn't very realistic for most of us to buy as a backyard escape. Maybe an office, if the alternative is putting an addition on your house, but even then...I can always work at the Starbucks next to the El Camion taco truck, and $27,000 can buy a lot of tacos. 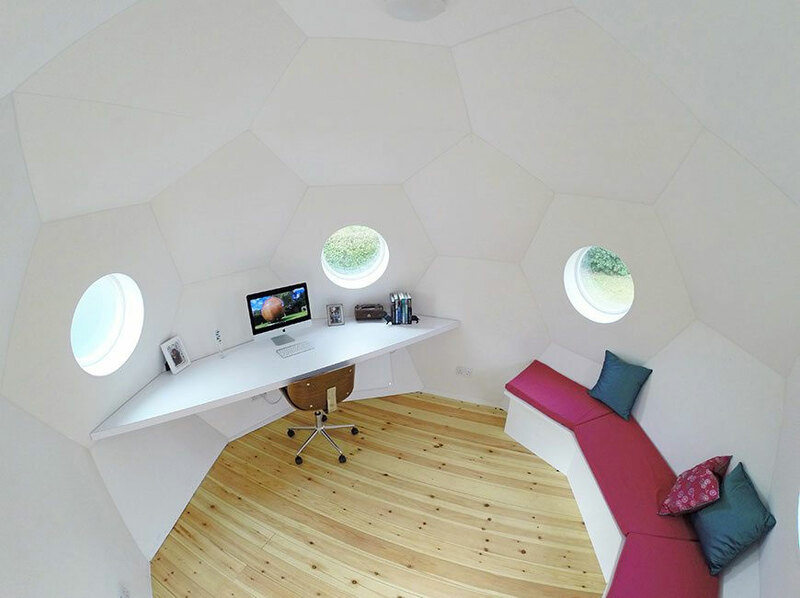 I learned that last year when I looked into getting an Archipod. 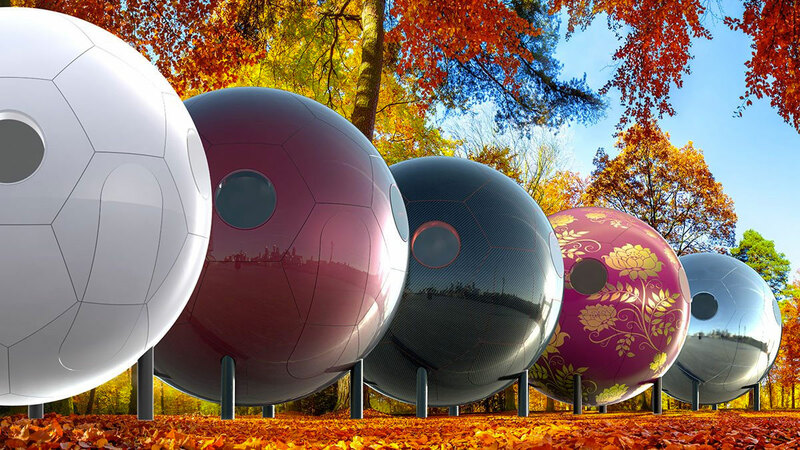 But Conker creator Jag Virdie's idea for the modular monocoque spheres might appeal might actually be a practical option for parents of today's Boomerang Generation of kids who leave for college...and then come back to pick up right where they left off behind the financial shield of Mom & Dad when they're done. Not that I'm one to talk. I did a 5-year stint in my mama's house after college. Or maybe it was 7. Anyway, cost of living is way high these days, and starting salaries - well, all salaries if you're not a 21st century robber baron or one of their executives - are way low. Some kids don't have much choice. The Conker, Virdie believes, is a great way to create some independent living space for boomerangers while they save enough money to head out on their own. 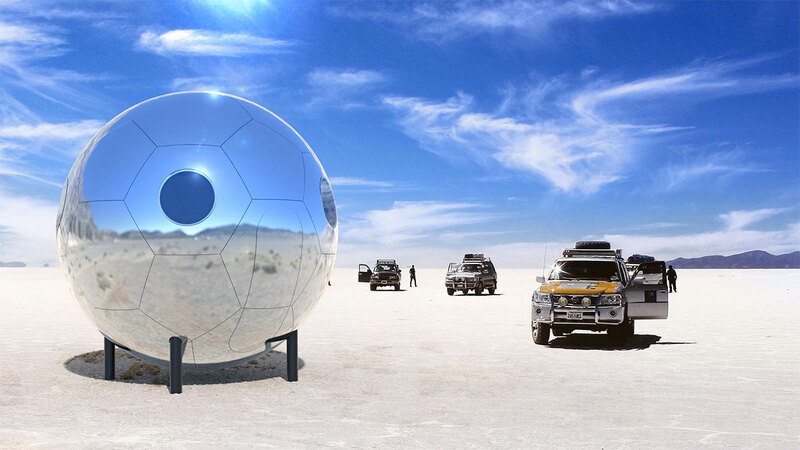 Conkers measure around 13' in diameter, and are entirely custom fit based on the buyer's needs - from mother-in-law unit to glamping outpost. You can also gang up a few of them to create a larger space or, say, a kitchenette or bathroom. 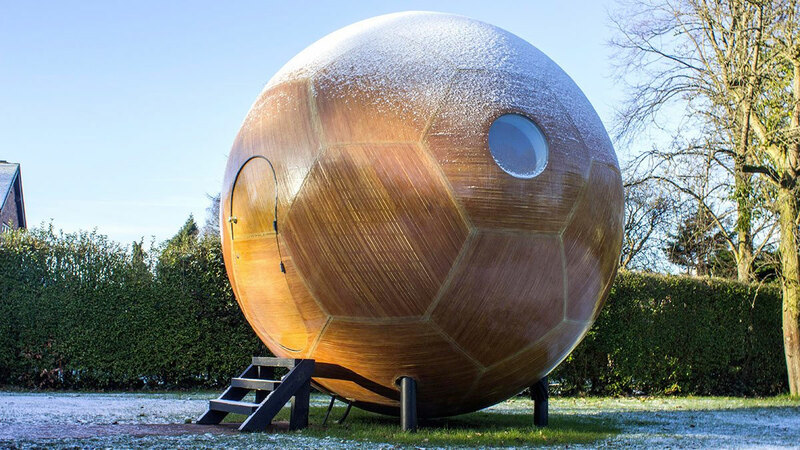 Conkers are made of aluminum and upcycled plastic, and all materials are sourced in England, Cheshire being Virdie's and Conker's home, with an eco-conscious mind. The structures even capitalize on their shape when it rains; all water drips down the sides of the panels, where you can set up a harvesting and storage system. Purify the water for reuse in the shower or kitchenette. Going the dome route also allows Conkers to bypass a separate guttering system. Conker setup takes less than a day, beginning with 4 anchor points you can install on even or uneven ground.